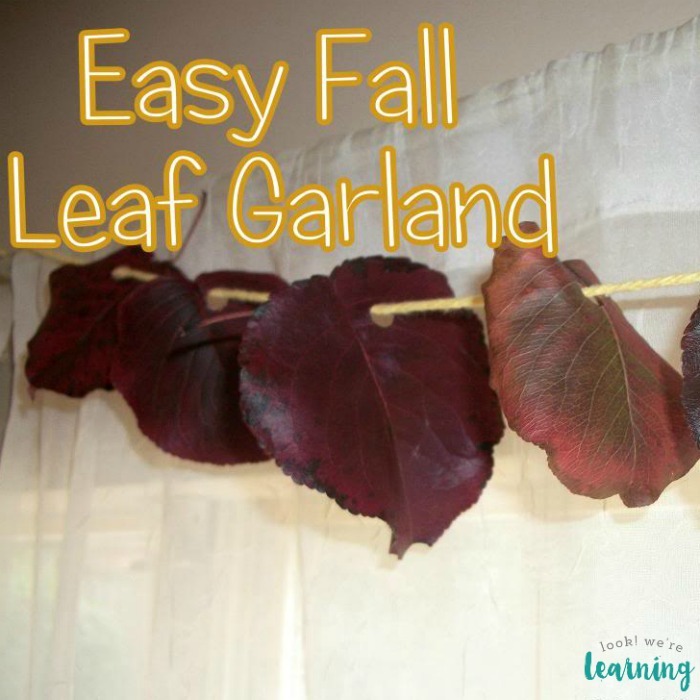 Easy Fall Leaf Garland - Look! We're Learning! 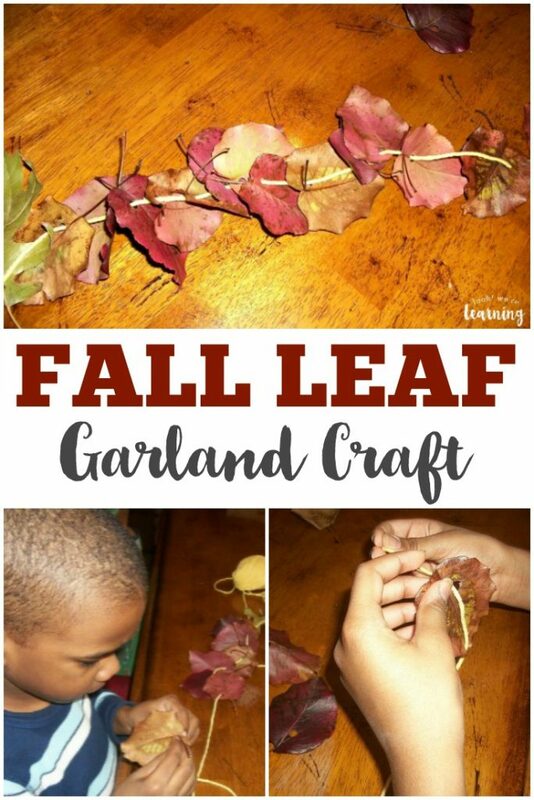 Since fall finally made its appearance down here in the South, we decided to round up some of the prettiest leaves in our yard and make a garland. I’ll admit: I’m not really one for home decor. I didn’t learn much about it as a child and I’ve been a tad stubborn about doing it as an adult. 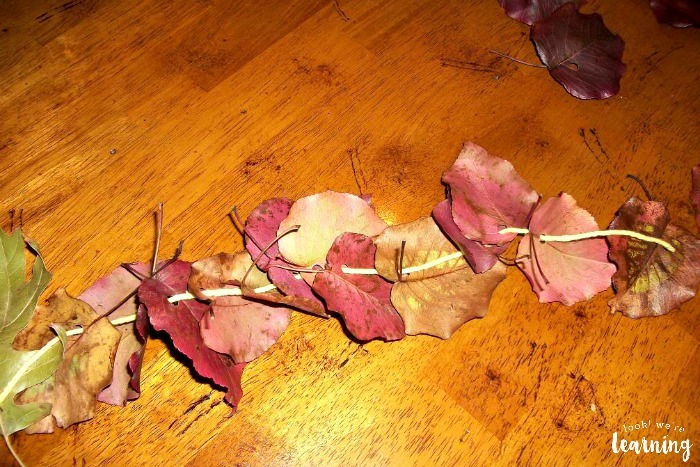 But, after sharing this easy fall leaf garland craft with the kids, I’m committed to adding a bit more “home” to our house. 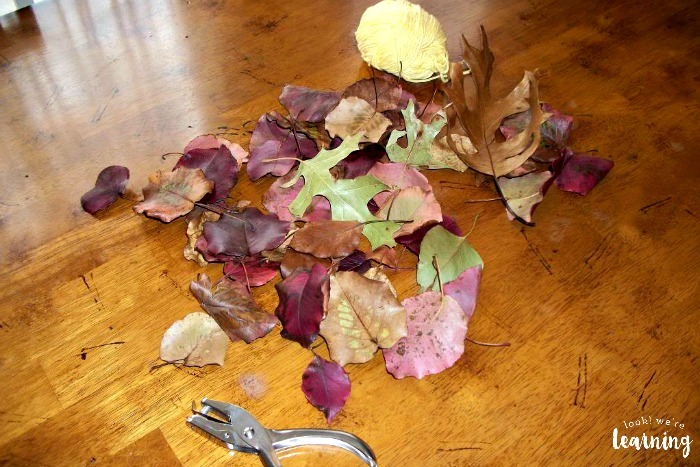 This is a really simple fall craft that kids will have fun making. 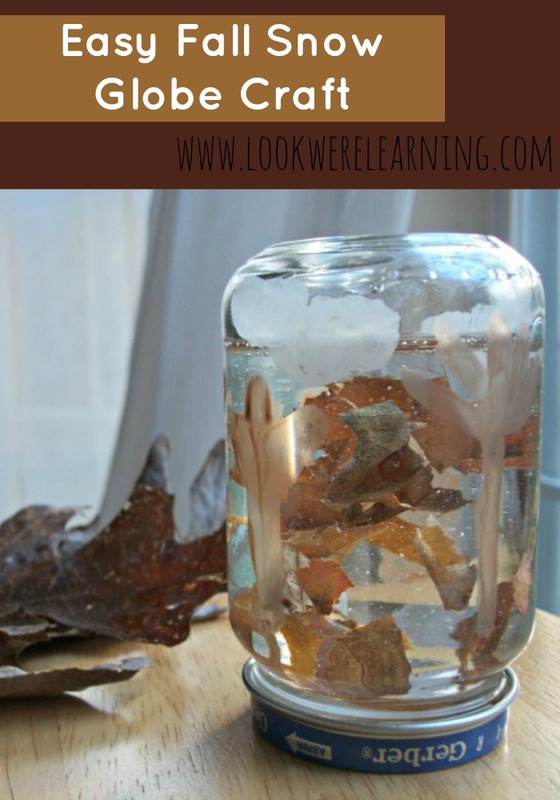 It’s easy, it only requires a few supplies, and it adds a sweet reminder of fall to the home. 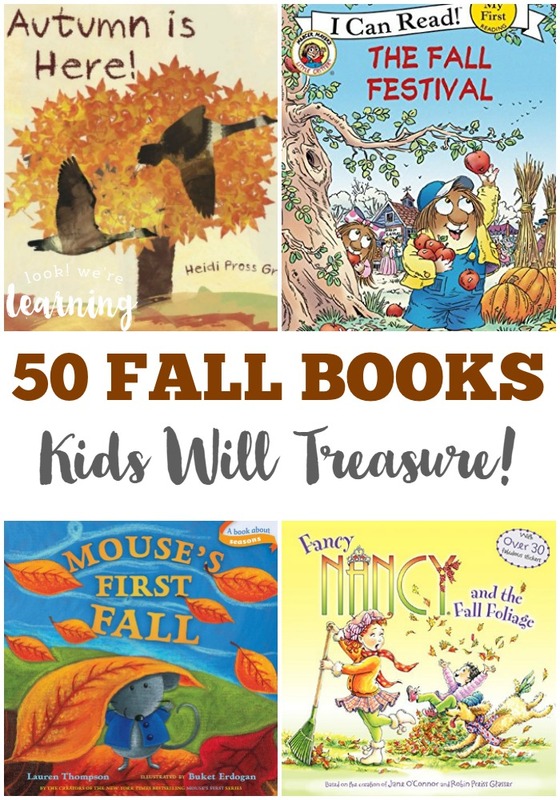 For more fun fall kids’ activities, don’t miss our list of 50 fall books kids will treasure! Rather than making leaves out of construction paper or some other medium, we just thought we’d hang actual leaves. We let them dry out for a couple of weeks so they’d be easy to punch holes in. 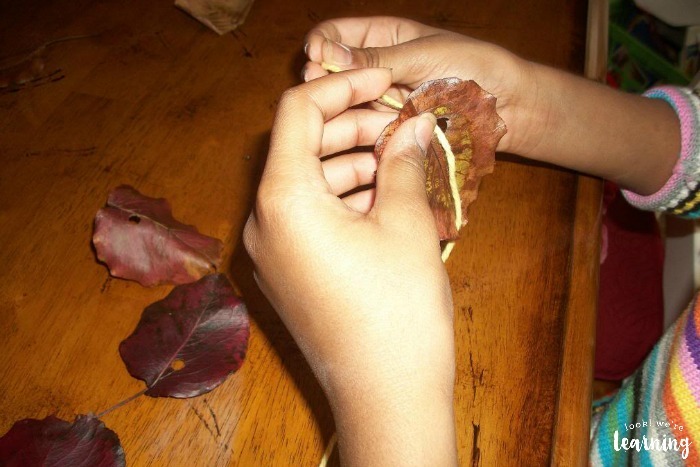 So choose your leaves about two weeks before you intend to make your garland. Sit them on a counter or in a plastic bag so that they’ll have plenty of time to stiffen before you make the craft. I helped the kids place the hole punch, but they pushed the lever (which they loved) and then started stringing the leaves on a long piece of yarn. Everyone had a designated pile to work with and they took turns adding their leaves to the garland. To keep the holes from spreading and cracking the leaves, we punched them as close to the center as possible and towards the stem end. 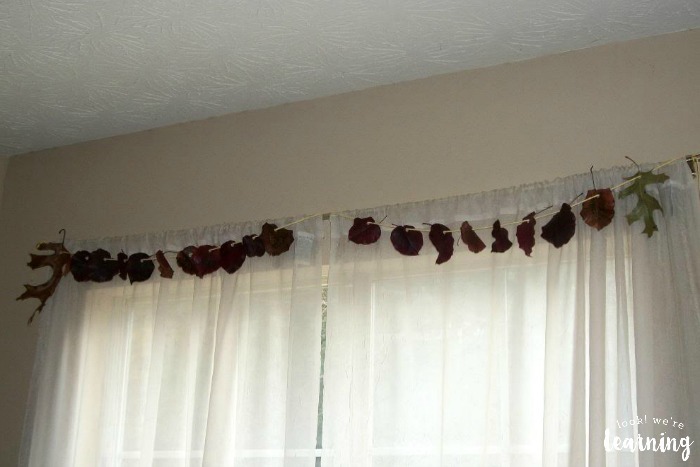 Once we added all of the leaves, it was time to hang our garland up! We chose the dining room, since that’s where we do most of our schooling and it’s one of the rooms in the house with the most light. Jay and I just tied the ends to the curtain rods and we were done! This was such a nice afternoon activity. 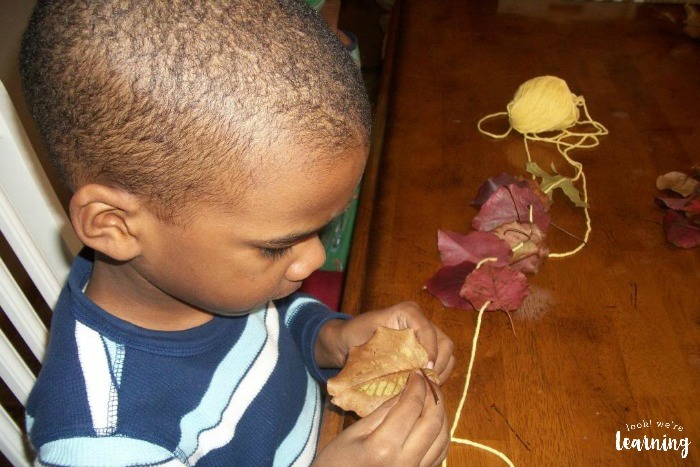 Threading the leaves was good fine motor practice for the kids. We all had fun choosing leaves together. And it was nice to see something we made together every time we went into the dining room. 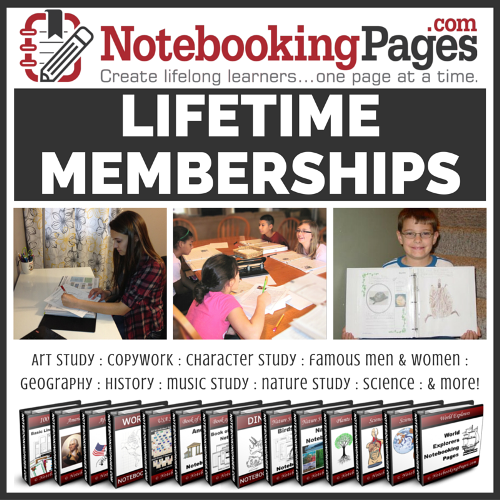 Want more fall activities? Check out these posts! 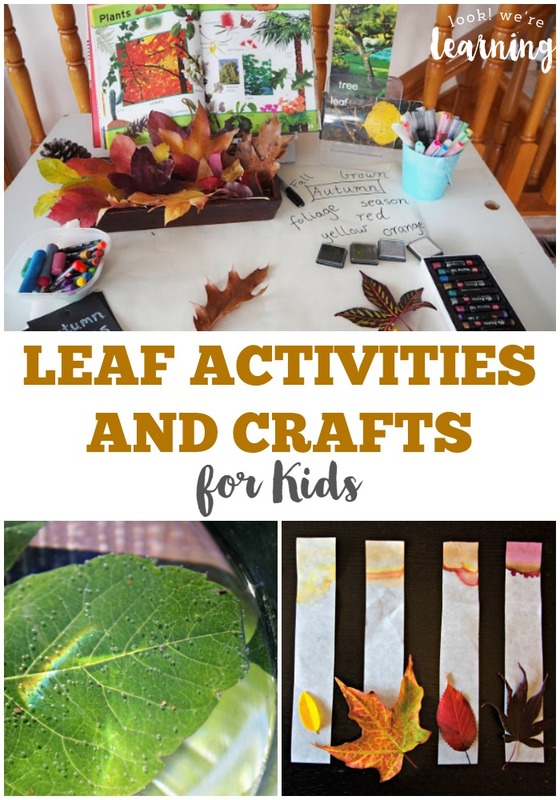 Plus, get more awesome fall inspiration on my Fall Activities for Kids Pinterest board!